As the SVP of Global Open Innovation & Digital Services, Esohe Omoruyi leads the strategy and facilitation of partnerships with start-ups and venture investments for L’Oreal. Under the direction of the Global CDO, Lubomira Rochet, Ms. Omoruyi and her team are focusing on creating a pipeline for driving innovation in digital via partnerships, investments, and co-creation. 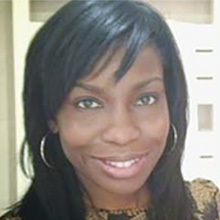 Prior to her current role, Ms. Omoruyi was the VP of Digital Services & Innovation for the L’Oreal Paris brand. Ms. Omoruyi oversaw the digitalization of the brand via the creation of customer-centric services. Through collaborative efforts with L’Oreal’s Global R&I Digital Incubator Team, Ms. Omoruyi launched the most game-changing digital service for the brand via Makeup Genius. Launched in 2014, the augmented reality app enables users to virtually try-on products from the L’Oreal Paris cosmetics catalog with a swipe of their finger. The app successfully launched in over 65 countries and has reached downloads of almost 20 million. Makeup Genius has received numerous distinctions worldwide, and continues to grow daily with tremendous buzz. Ms. Omoruyi received her BA in Political Science from UCLA. She lives in Paris, and in her leisure time is an avid traveler, music lover, and photographer.